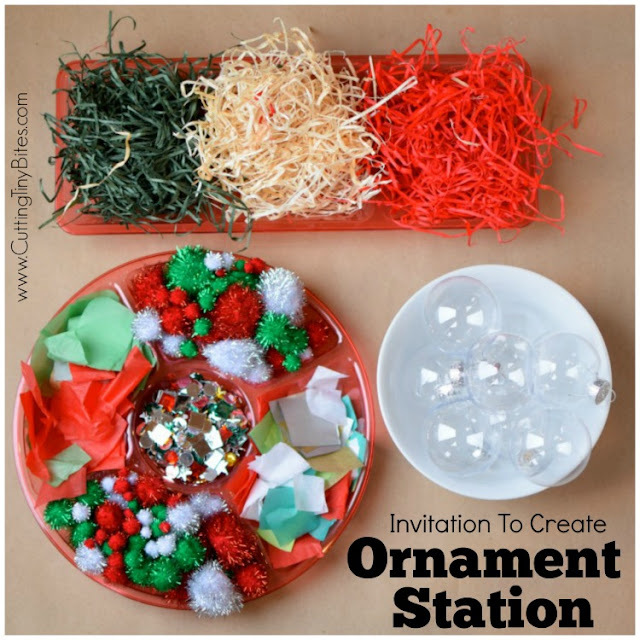 This Christmas Ornament Station would be absolutely perfect for a class party or gathering of friends for Christmas! Kids will get to pick and choose which objects they'd like to use to make a special Christmas ornament that they can hang on the tree. 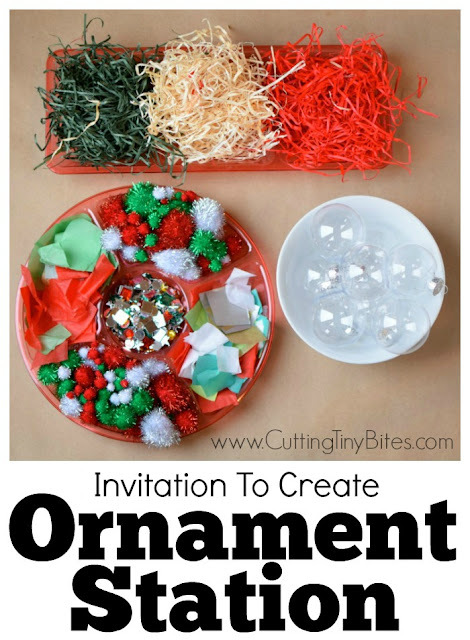 This Invitation To Create is easy to set up, and lots of fun! Put together a tray of little bobbles that children can put into the ornaments. 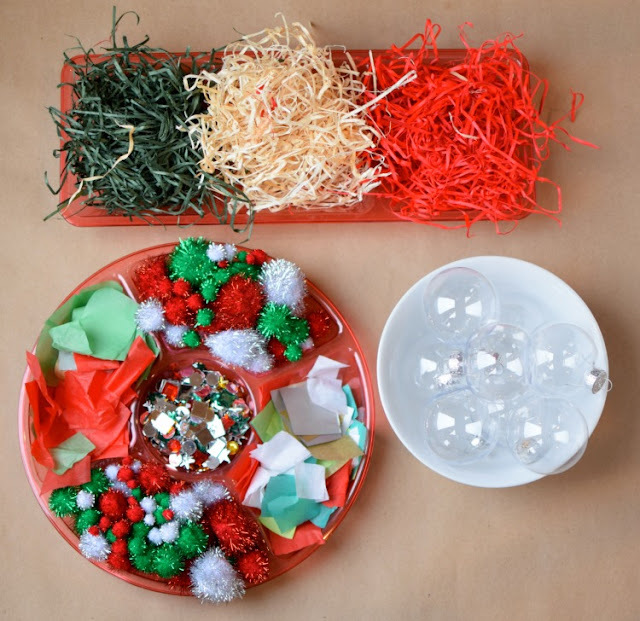 You can find trays like this at a dollar store. I would start by taking a quick inventory of the supplies and materials that you already have. 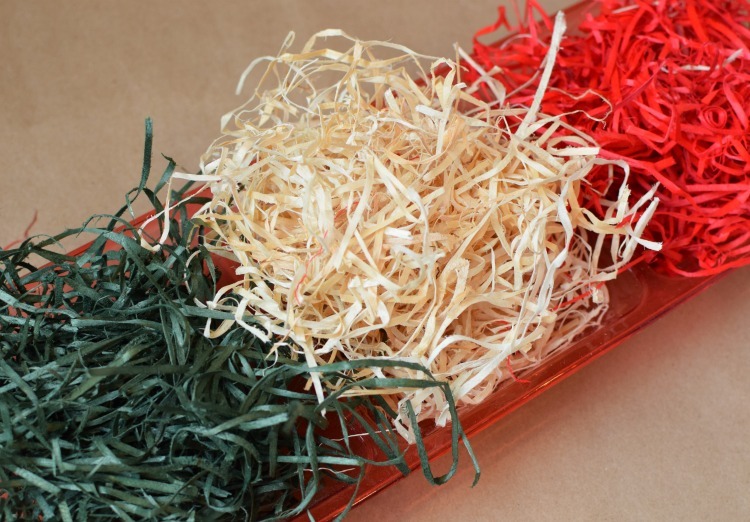 Then, take a trip to the craft store and browse around looking for what you'd like to use. 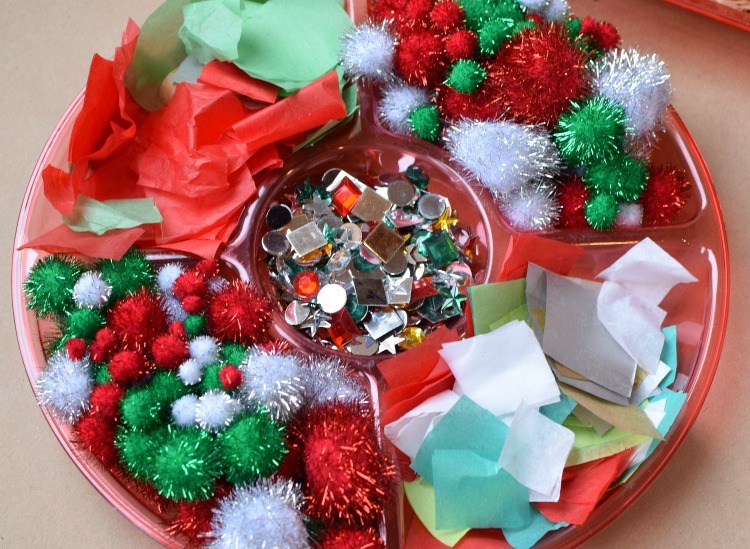 We used sparkly pom poms, tissue paper (cut into squares) and craft rhinestones (we had a Christmas pack) on one tray. On another tray, I put Christmas colored crinkle paper. 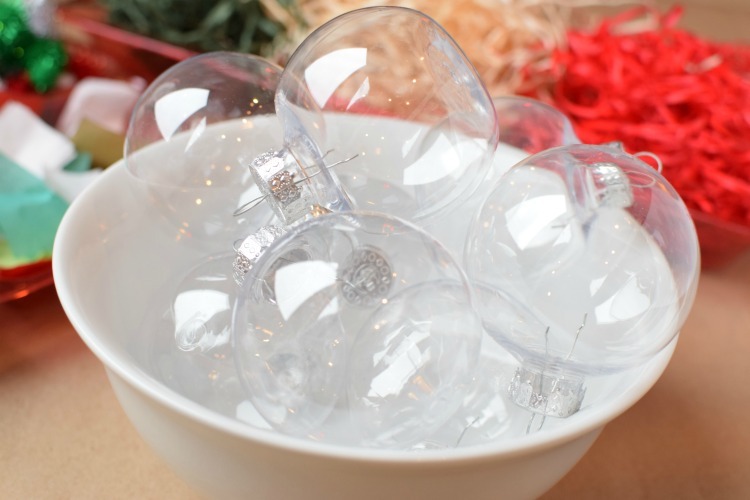 Of course, you need clear ornaments! For young children, plastic is definitely the way to go. Make sure you get the kind that has a hole at the top, and not the kind that comes in two pieces that you snap together. 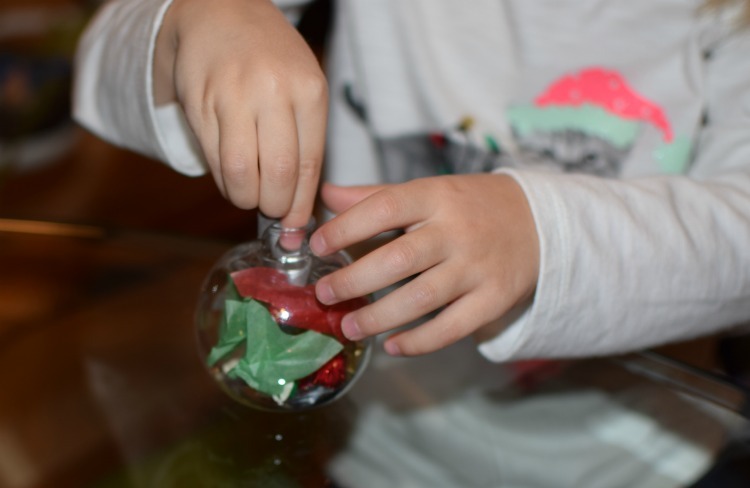 You want your kids to get a good fine motor workout while they poke things into the opening! You could also add ribbon curls, beads, small jingle bells, tinsel, feathers, nature bits, or buttons. Set up your fillers and ornaments (with the tops removed) and let your kids get to work. 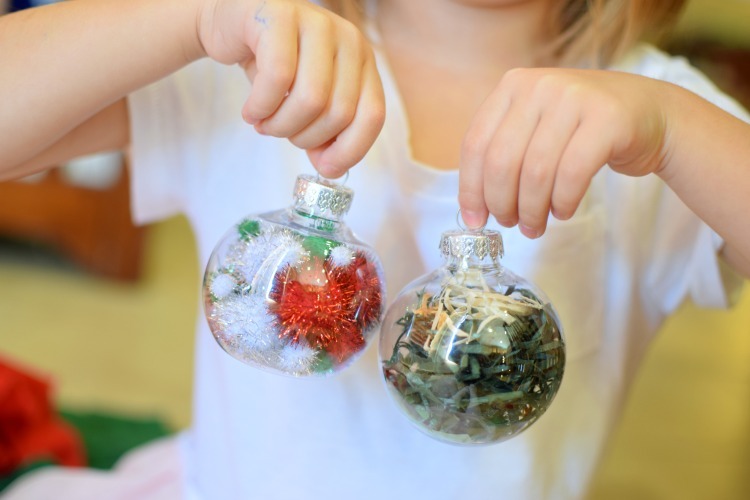 Your child will pick and choose what they want to add to their ornaments. Cramming all the little bits in through the small opening is challenging but rewarding! 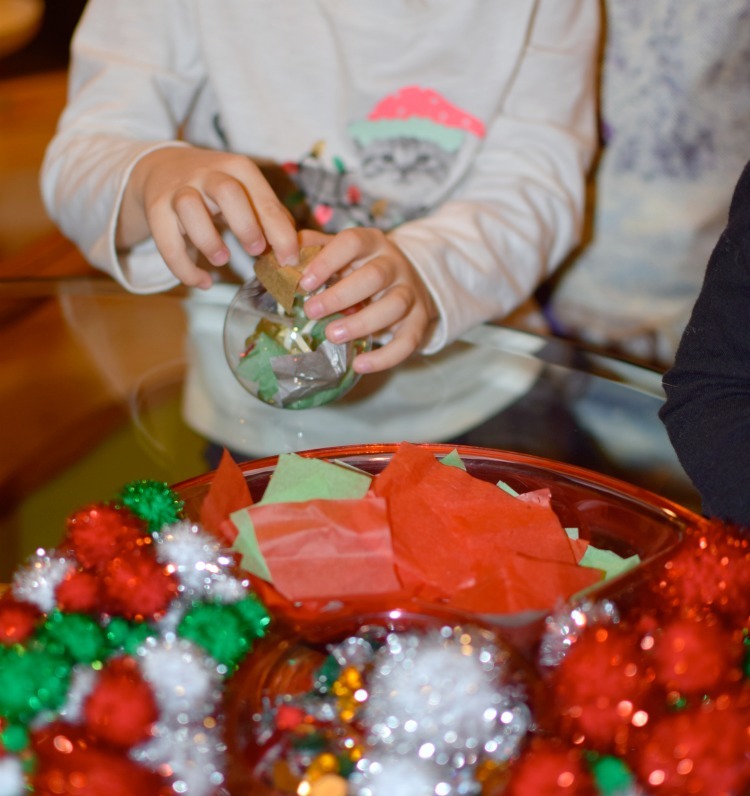 We took our ornament creation station to a small Christmas party where the kids enjoyed making lots of pretty ornaments! 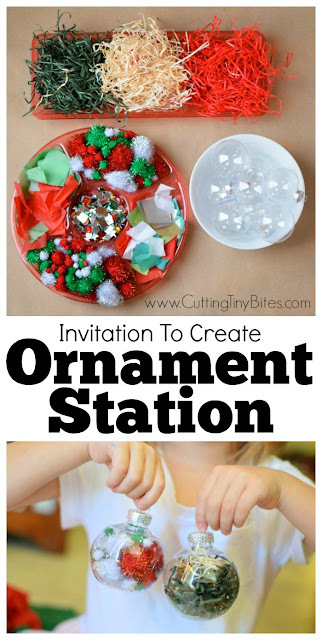 Set up a Christmas ornament station for preschool, kindergarten, or elementary class party. 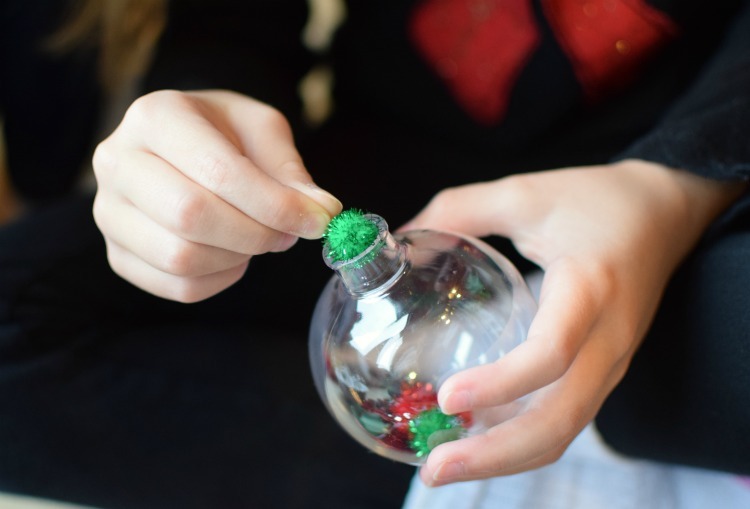 Let kids add different Christmas goodies to work on fine motor skills and make a beautiful keepsake ornament to take home!